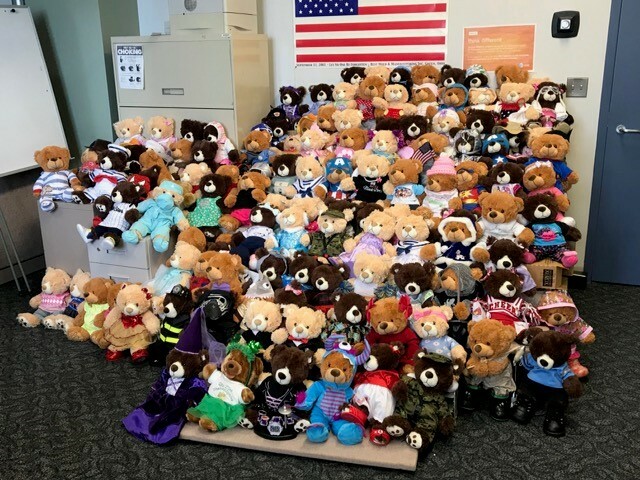 Ohio’s NE Council Pioneers and family dressed 300 charming bears for pediatric patients at local hospitals for children. In the Cleveland area, the Bears were given to the Ronald McDonald House, which has a family room at each hospital. 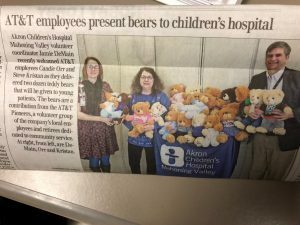 In Youngstown the Bears were given to the Boardman branch of Akron’s Children’s Hospital. The Bears will be distributed to children receiving treatments at the hospitals. 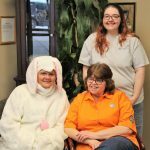 The bears bring smiles to the kids, parents, hospital staff and the Pioneers who dress them. 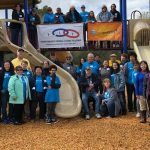 As long-standing supporters of the Ronald McDonald House in Cleveland and the local children’s hospitals in Ohio, the Pioneers of NE Council are proud to share a little love and sunshine with the children and their families. Our motto in the Youngstown is “There will be no naked bears leaving our office!